Trump says he has not yet submitted the answers to Mueller's office. President Donald Trump said Friday he has finished his written answers to special counsel Robert Mueller for the investigation into Russian interference in the 2016 election, but told reporters he has yet to submit the answers to Mueller's office. "I write the answers. My lawyers don't write answers," Trump said during a cybersecurity initiative bill signing in the Oval Office. "I was asked a series of questions, I answered them very easily." Pressed on his tweet storm Thursday in which he accused Mueller's investigators without evidence of going "absolutely nuts," the president assured reporters that nothing of note triggered his tirade but that it was a “continuation” of the objections he’s already raised with the probe. 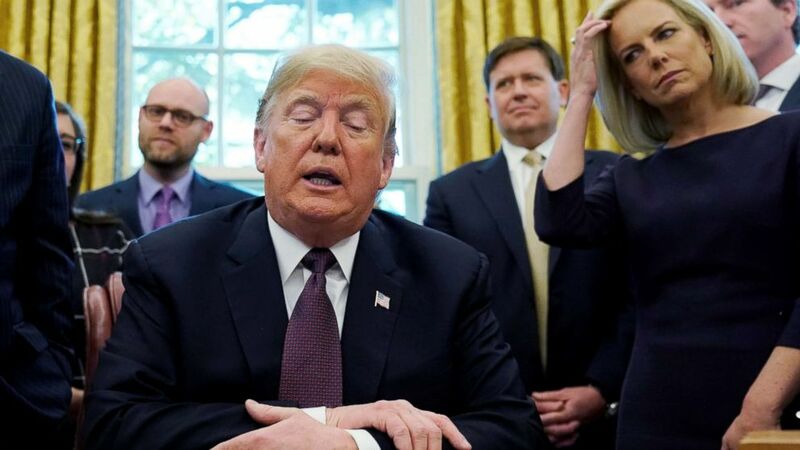 (Jonathan Ernst/Reuters) President Donald Trump talks to reporters as Department of Homeland Security Secretary Kirstjen Nielsen, right, looks on at a signing ceremony for the Cybersecurity and Infrastructure Security Agency Act in the Oval Office of the White House, Nov. 16, 2018. "No, I'm not agitated. It's a hoax," he said. 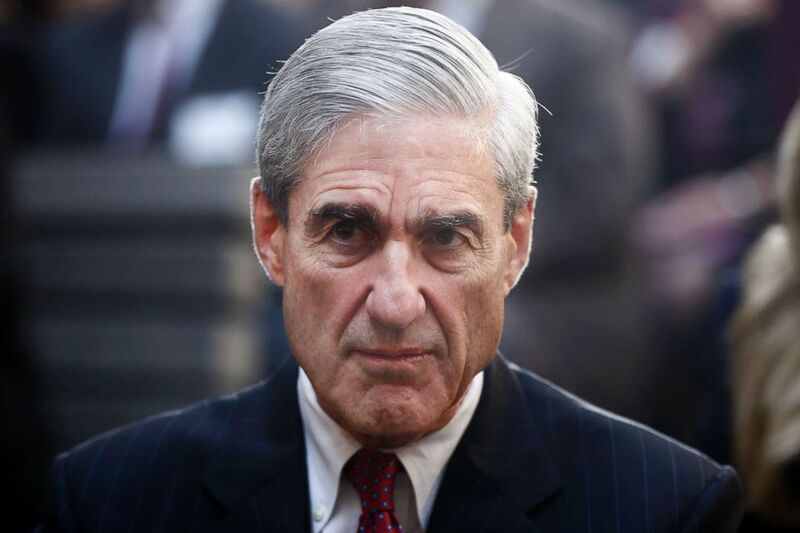 "There should have never been any Mueller investigation because there was never anything done wrong," Trump said. "There was no collusion -- there never has been." "The witch hunt, as I call it, should never have taken place," he said. "It continues to go on. I imagine it's ending now. From what I hear, it's ending. And I'm sure it will be just fine. And you know why it's going to be just fine? Because there was no collusion." (Charles Dharapak/AP, FILE) Former FBI Director Robert Mueller at an installation ceremony at FBI Headquarters in Washington, D.C., October 28, 2013. "I was asked a series of questions. I've answered them very easily. Very easily, He said. "I'm sure they're tricked up, because, you know, they like to catch people -- 'Gee, you know, was the weather sunny or was it rainy?" "He said it may have been a good day; it was rainy, therefore he told a lie. He perjured himself.' Okay? So you have to always be careful when you answer questions with people that probably have bad intentions." Several former Trump campaign officials, including Michael Flynn and George Papadopoulos, have pleaded guilty to providing false statements to the FBI after their interviews with investigators.